Sign up for access to the Precision Health Cloud. Start using the Precision Health Cloud today with pre-populated sample projects. 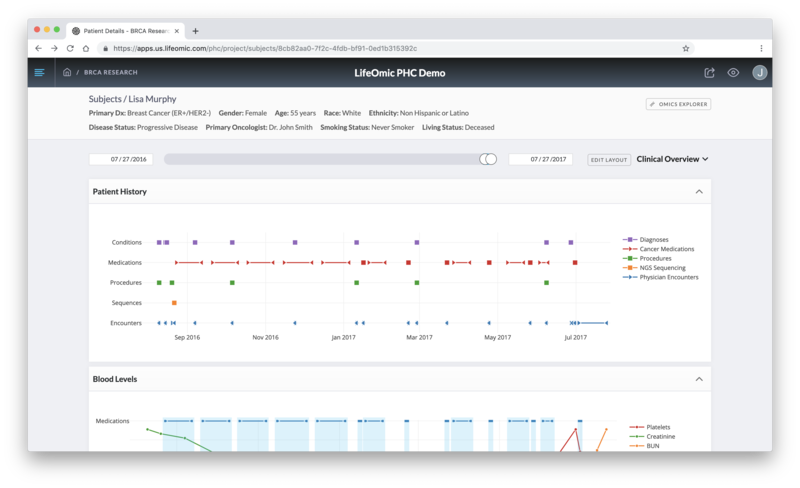 The Precision Health Cloud is the only platform that seamlessly integrates EMR, Genomic, Lab, Imagine, Patient Reported and more data types in a secure, extensible, cloud based platform. The Precision Health Cloud comes with demo projects so you can start exploring the platform immediately.